Say hello to Tempurpedic. Tempurpedic is one of the largest players in the mattress industry and has been for several decades. 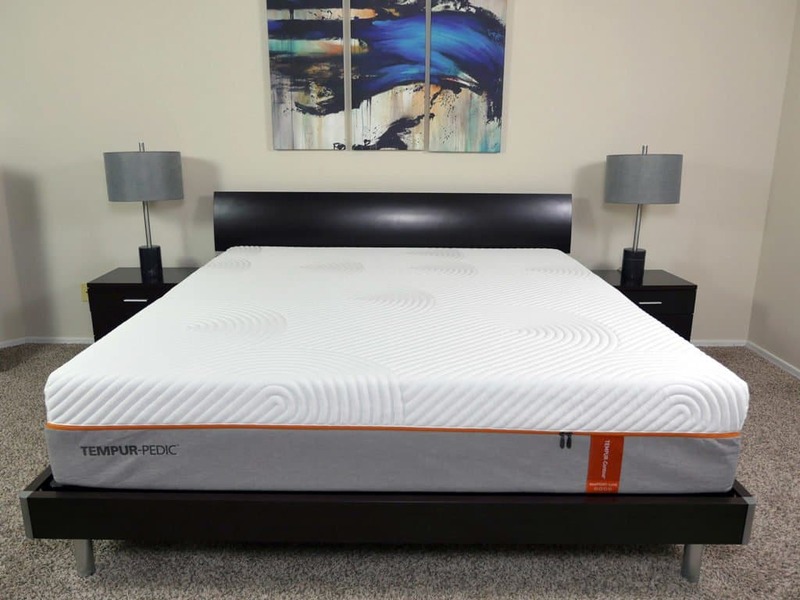 Focusing its brand on luxury mattresses with a classic memory foam feel has been a large part of Tempurpedic’s goal as a whole, and the company has done a fine job of maintaining one of the top spots in this segment of the industry. Recently, I began testing my way through some of Tempurpedic’s most popular mattresses. This guide is a high-level breakdown of the similarities and differences among each of the mattresses I’ve tested, in addition to information to help you decide which Tempurpedic mattress may be the best choice for you. So with that said, let’s get this Tempurpedic mattress review party started! Tempurpedic mattresses virtually all sit in two major categories: expensive and luxurious. These high-end mattresses are designed for all types of sleepers, but tend to hover around a few of the same styles and feels. 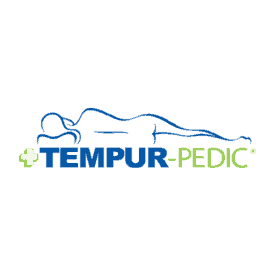 In general, Tempurpedic mattresses offer a pronounced degree of sinkage, good pressure relief, sharp contour, slower response times, and low degrees of motion transfer. 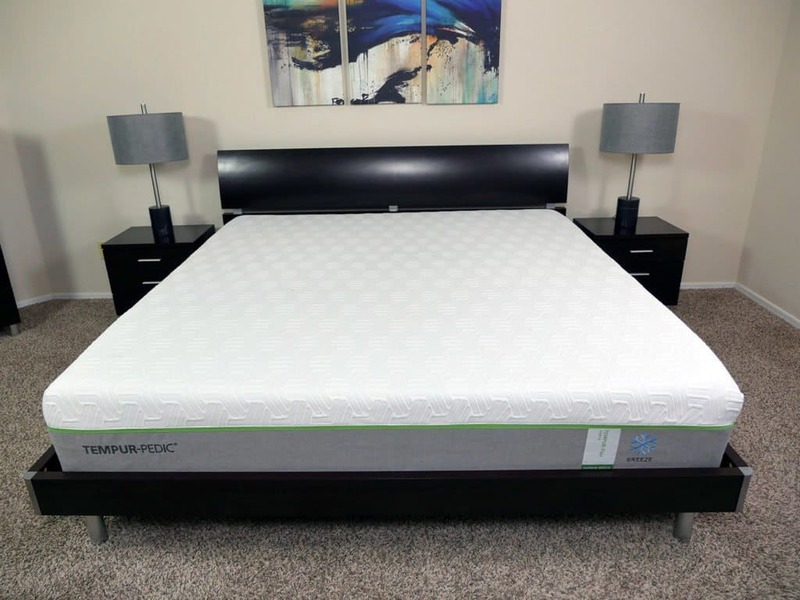 The Tempurpedic brand is broken down into several sections, but for the purpose of this review we will be focusing on the Cloud, Contour, and Flex mattress model lines. Within these three categories are two memory foam mattresses with fairly different feels and one hybrid mattress. We’ll move on to the differences among each Tempurpedic mattress in a bit, but for now we’re going to highlight the main commonalities among each one of Tempurpedic’s mattresses. Built in the United States – All Tempurpedic mattresses are built in the United States. Tempurpedic has two main factories located in New Mexico and Virginia. Warranty – All mattresses are covered by Tempurpedic’s 10-year limited warranty. This warranty covers any indentation that is 3/4″ or greater. Trial Period – All Tempurpedic mattresses come with a 90-night trial period, provided your purchase from Tempurpedic.com. 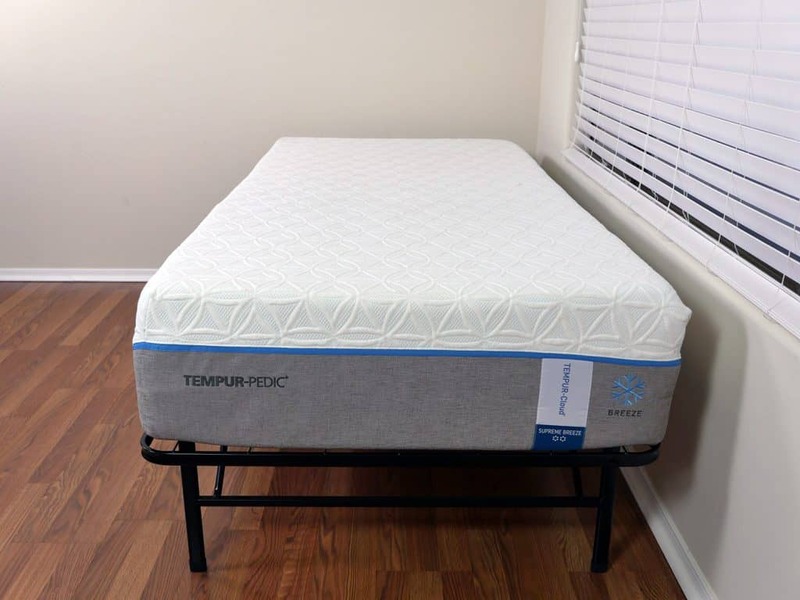 If you are not satisfied with your mattress after sleeping on it for 90 nights, you can contact Tempurpedic and exchange it for another mattress in the company’s product line. That said, there are some fees, such as transportation costs, associated with this exchange process. Shipping – All Tempurpedic mattresses are shipped via white glove delivery service. The mattress will arrive in 5–7 days after purchase and will be set up in your home by a team of two people. Ultra Luxury Designs & Materials – All Tempurpedic mattresses are built with the highest quality materials. These materials create an ultra luxurious design that is built for sleepers who do not have to worry about their budget and can afford to spend a little more money on their mattress. The following table is a comprehensive comparison of the major functional areas of each Tempurpedic mattress. Height 11.5" 11.5" 13.5" 10"
Review Read Written Review! Read Written Review! Read Written Review! Read Written Review! If you’re looking for a little more information on some of the Tempurpedic mattresses, check out our short summary reviews below. These brief summaries highlight the major differences among each mattress, helping to provide clarity about which Tempurpedic model could be the best choice for you. ABOUT THE CLOUD LINE – the Tempurpedic Cloud mattress line is offered in firmnesses from very soft to medium. Despite the variation in firmness, the contour and hug dynamic is similar on all models to the Cloud Supreme feel described above. Additionally, all Tempurpedic mattresses are available with or without the Breeze cover. The Breeze cover costs extra, but does notably improve cooling. For my sleep test of the Cloud line I choose to test the Tempurpedic Cloud Supreme Breeze. The Tempurpedic Cloud Supreme Breeze is what I would consider to be Tempurpedic’s flagship mattress. This mattress offers a traditional and classic memory foam feel. The sinkage is deeper, the contour is more pronounced, and the response times are slower. That said, the Cloud Supreme Breeze mattress did a nice job of balancing the deeper sinkage by allowing the lighter parts of my body to sink in as well. This balanced level of sinkage created high levels of support. Stomach sleepers may find that the sinkage is a bit too much around their lower back, potentially leading to support issues. Side sleepers will benefit most from this Tempurpedic mattress, as will back sleepers, who are okay with a softer feel. ABOUT CONTOUR LINE – the Tempurpedic Contour mattress line is offered in firmnesses from medium-firm to very firm. The Contour mattresses provide pressure relief and a moderate depth of hug and contour, however, the firmness more prominently presses back, helping to prevent excessive sinkage. Contour mattresses are available both with or without a Breeze cover, which costs extra, but does improve cooling. For my sleep test of the Contour line I choose to test the Tempurpedic Contour Rhapsody Luxe. As a slightly firm mattress, the Tempurpedic Contour Rhapsody Luxe mattress is a better fit for stomach and back sleepers. Some side sleepers may be able to enjoy this mattress, but the firmer feel could certainly create some support issues for side sleepers. This firmer feel also has a higher potential to create pressure points for lighter weight side sleepers. On the other hand, average weight and heavier sleepers will benefit greatly from the memory foam top layers. Sleepers that are heavy enough to compress down the top layers (150 pounds and up in most cases) are going to be supported by the layers below while receiving high levels of pressure relief and a sharp contour from the top layer. ABOUT FLEX LINE – the Tempurpedic Flex mattress line all utilize a hybrid design. This hybrid design uses layers of memory foam and poly foam on top of pocketed coils. This combination creates a balanced feel with more response, more bounce, and better cooling. The Flex mattress line is available in firmnesses from medium to medium-firm. As with other models, the Tempurpedic Flex line is available with or without a Breeze cover. For my sleep test of the Flex line I choose to test the Tempurpedic Flex Supreme Breeze. The Tempurpedic Flex Supreme Breeze mattress is a solid option for most every sleeper. As a hybrid mattress, the Flex Supreme offers a best-of-both-worlds feel. The combination of memory foam on top of a pocketed coil base provides a softer top layer with a highly supportive foundation. The pressure relief, edge support, cooling, deep compression support, and response times are all above average performers on this Tempurpedic mattress. The balanced levels of sinkage and hug make this mattress a good choice for the vast majority of sleepers.